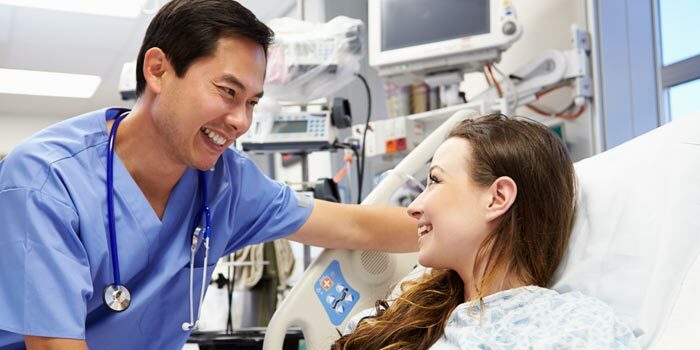 According to the American Association of Colleges of Nursing (AACN), nearly 84 percent of employers prefer nurses who have a BSN. Further, the Institute of Medicine has called for the number of nurses with bachelor’s degrees to increase to 80 percent by 2020. This trend has put a lot of veteran RNs in a position where they have no choice but return to school. As an advisor for the RN to BSN program at the Madison School of Healthcare of Ashworth College, I work with many RNs who have been working in the field for years. Some of them are hesitant to return to school simply because it’s been so long since they were students. While they have the clinical knowledge, patient care skills, and real-world experience of a long-time nurse, the idea of re-entering academia can be daunting. In addition to being an academic advisor, I have also been a nurse and an online student, so I can tell you that going back to school is not easy. You may feel rusty when you sit down to write your first essay. You may struggle through some of the tougher courses. You may even stumble at first as you navigate new formats like online learning. However, it is possible to be successful in school, no matter how old you are, or how long you’ve been in the field. To help you, I’ve collected some of the advice I’ve given to nursing students over the years. No matter how you slice it, going back to school will be a big change. But the flexibility of an online program, and a little bit of planning can make for a smoother transition. I often recommend these tips to new students: first, schedule a regular study time. Doing so will help you keep on track; find a dedicated space for studying. This will help you stay focused on coursework; and lastly, ask for support. Whether it’s your spouse, family members or friends, let them know what they can do to help you take on this new challenge. Just because you’re completing your degree online doesn’t mean you’re alone. In fact, you can count on your advisor (hint: that’s me) to reach out weekly when you start your coursework. As an advisor, I’m here to build a relationship with you, make sure you have the help you need and keep you motivated to reach your goals. As an online student, you’ll also have a number of online tools available in the student portal, as well as access to one-on-one help from faculty members, whether you are having technical difficulties, or need academic guidance. Getting the help you need starts with you. If you ask for help, you will receive it. Most importantly, know that you won’t be faceless among a crowd of online students when you enroll in the RN to BSN program. The instructors, support staff, and I are to get to know you and help you find your own customized path to success. With that kind of support, it’s never too late to go back to school.